2. Update your local system repo. 4. If installation completed successfully, check the version. 5. Make the recently installed Java version default. 6. Later on you can set any Java version as default, as per your requirement. 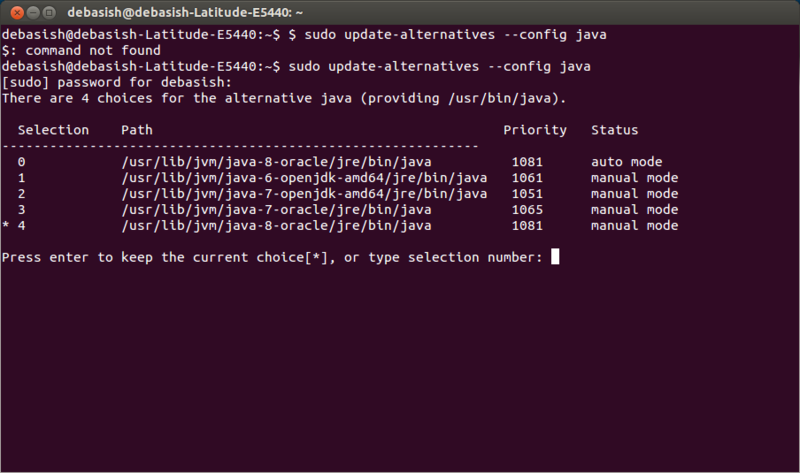 This command will shows you up all the available Java versions installed in your system. Just specify the number you want to set or press Enter to go with the current one. Sometimes it require system restart to reflect the changes. So better do it for once, if require.